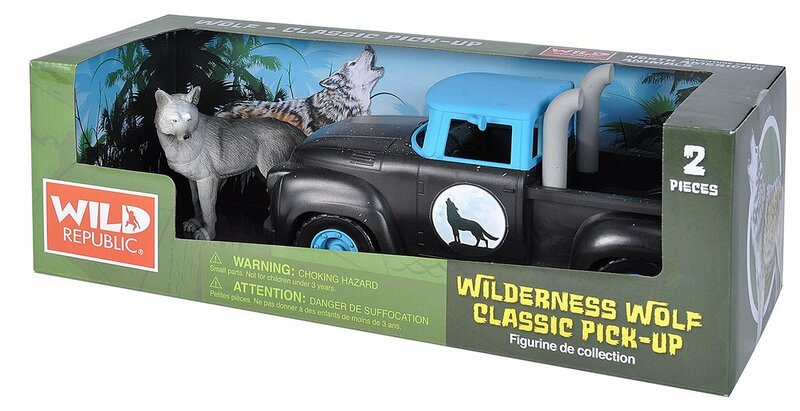 The Wolf Classic Pick-up is pretty cool. The two piece set is acrylic. The Wolf is gorgeous. The classic truck has a howling Wolf and Moon painted on both doors. Makes a fun Wolf gift for a child or collector.